Are you new to the game of hockey? Here you will find some great tips and tricks to the game, being a parent, and joining the organization! A PDF version of this can also be found HERE. Welcome to the Whitestown Youth Hockey Association. This booklet is an attempt to put all the information you need to be an informed hockey parent in one place. It’s also an attempt to give you the information you need in order to know who to ask about anything that might come up over the course of the year. This book may not answer all of your questions. Other valuable resources include the WYHA website www.whitestownyouthhockey.org, your players’ coach, or your Level Coordinator. You can always ask one of the members of the Board of Directors for WYHA. Contact information for the WYHA board can be found on the website. The organization is dedicated to providing consistent communication to everyone. We do this in a number of ways, so that when everything works, everyone gets the information they need one way or another. Here is where you can look for the information. Newsletters: This is sent out on a monthly basis following the board meeting. It will contain pertinent information at the time. If you have something you would like to see included in the next newsletter, please email the board President. Team Manager: Each coach will select one team manager. This person (normally a parent) will be responsible for scheduling games and informing families of team information as soon as it becomes available. Level Coordinator: Every level has a coordinator. This person also serves as a board member and will make every attempt to keep each level informed of changes that affect the level as a whole. This person will also be able to answer any questions you have when the team manager is unavailable. Board Meetings: Board meetings are held the 1st Monday of the each month. All members are welcome to attend at any time. If there is a topic you would like to bring to the board, please contact your level coordinator at least 7 days prior to the meeting for instructions. Hockey has been known to have “the never-ending season”, however, most levels begin in October and run through mid-March. The information below will hopefully help give you a general guide to the hockey season. For all levels of play, Mites and above, practices will be held at least two (2) times per week at the rink. Learn to Skate and Learn to Play will not play games. Most teams will play 1-2 games per weekend starting at a date determined by the coach. Teams will also participate in tournaments during the year. At the beginning of the season, each team is required to hold a team meeting to discuss games and tournaments, as well as other important information as it pertains to that particular team. *These items are required by USA Hockey for all players in order to be on the ice. Equipment bags are available to rent on a limited basis for all LTS/LTP players. If bags remain following LTS/LTP registration, the organization will open up rental gear to other registered players. Please contact the Equipment Manager to arrange rental bags. WYHA will have a limited supply of tape, mouth guards, laces and socks to purchase at the concession stand. The Equipment Manager will send out information regarding jersey orders as soon as it becomes available. Families and players will also have an opportunity to purchase Wolfpack gear and warm-ups after the season begins. Information will be communicated to families via email. If you have any questions about equipment, check with your coach or contact the Equipment Manager (see website for contact information). Fees, fundraising and raffle tickets are used to cover ice time, referees, clinics and additional rink costs. Raffle tickets are offered as a way to automatically provide an association-wide fundraiser. Each family (LTS/LTP excluded) is charged $100 during the registration process. Families will have the option of selling raffle tickets to recoup their costs. Once completed, your family keeps the money. Please contact your team manager or the Fundraising Coordinator with additional questions. During the regular season, the WYHA is responsible for maintaining the concession stand which helps to keep player costs lower for families. On average, the concession stand raises thousands of dollars that help to offset the cost of running a hockey program. In order to continue this lucrative opportunity, all registered WYHA families are required to either volunteer hours or “buyout” of their hours. Additional details, such as hours required and buyout costs are available during the registration process. If your family chooses to work the hours required, you will receive information from the concession stand manager. He/she will email monthly schedules to provide the hours available. Once your hours are completed, please contact the Concession Manager. WYHA rents ice from the town of Whitestown, therefore, the rink does not belong to our organization. All members are responsible to clean-up after themselves. This includes - public areas, locker rooms, and the warming area. The conference room can only be used with pre-approved permission from your level coordinator who will schedule with the town. Please be aware that teams are required to use the locker room that is assigned to them. All locker room assignments will be located on the white board inside the warming room. You may not use additional locker rooms as overflow unless granted permission by the town. Individual and teams pictures will be held during the season. Team managers will be responsible for distributing this information as it becomes available. 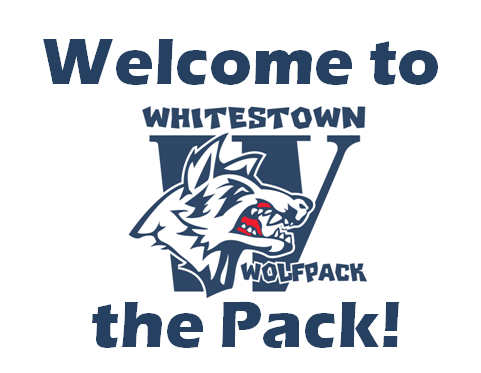 For more detailed information regarding Whitestown Youth Hockey Association, please refer to the By-Laws and Policies. Both of these documents can be found at www.whitestownyouthhockey.org.